The diamond-point non-slip area of the gelcoat is worn, making it ineffective and…not very pretty! It’s time to do something to improve your boat's looks. Paint is the simplest way of making your deck more attractive. 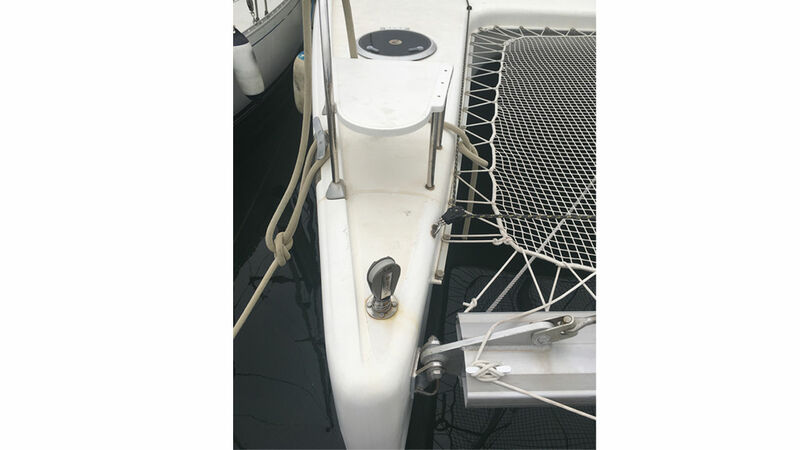 The non-slip surface is obtained without adding weight to the boat. To obtain an elegant contour around the deck fittings, they must be marked out with masking tape. Teak remains the most elegant material for luxury boats. Its nobility and longevity make it a favorite material for the well-known builders. But it is sensitive to UV and requires fitting by a good professional. It resembles teak both to look at and to touch, and yet...it's not teak! Synthetic teak allows a wide choice of colors. You can also design your own logo. It is easier to maintain and resists stains better. When we talk about deck coverings, two aspects must be distinguished: safety and aesthetics. Fortunately today the choice of products available is vast and both criteria can be met with no problems when renewing your deck! 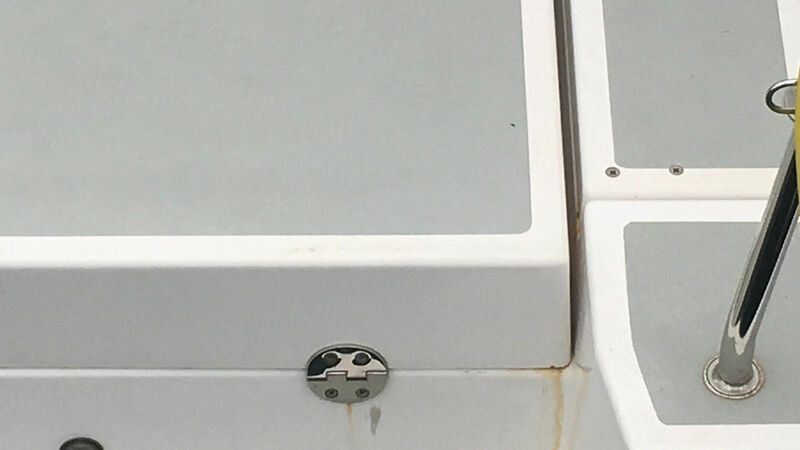 In our life as leisure sailors, we have all been faced with a bit of figure skating on a deck whose non-slip covering is worn and no longer works. This is not only unpleasant, but can also cause injuries – and even worse – make you fall overboard. Quite often, the diamond-shaped points molded into the deck gelcoat become drastically less effective as the years pass. Wear removes the point. The deck becomes slippery, and from an aesthetic point of view, your deck appears worn, old… In a word, not very pretty… The feeling of your feet having a firm grip on the deck avoids stress and contributes to the success of your sailing, through the feeling of safety this provides. What can be done to fight against this ageing? Whether as original fitting on new gelcoat, or to replace the existing material, there are several possibilities. Four major families can be distinguished – paint, teak, imitation teak and synthetic coverings. All are effective and offer different characteristics to meet all specifications. This is without a doubt the simplest, the lightest and the cheapest way of obtaining an effective non-slip surface, whilst also having a decorative role for your deck. All the brands offer many colors, and you can always add a pigment to create a unique, very personal shade. Its application requires meticulous preparation of the surface. Sanding and careful cleaning with acetone must be carried out after having repaired the damaged parts with filler. It is then advisable to mark out the area to be painted with masking tape, to go round any deck hardware. Two types of paint are available. Ready to use single component mixtures which, generally quite matt, are most suitable if the surface to be treated is not very smooth. Its mattifying aspect covers better and will smooth over the irregularities. If your surface is new or has no apparent defects, you can use a gloss deck paint, generally two-part, in which microbeads are mixed to form the non-slip surface. Two coats are required. The first over the whole deck, once the fittings have been removed. Then a second coat containing the microbeads, with the outlines of the fittings demarcated with masking tape. It looks better, but your deck must be perfect. Maintenance is very simple – brush and detergent, as with gelcoat.